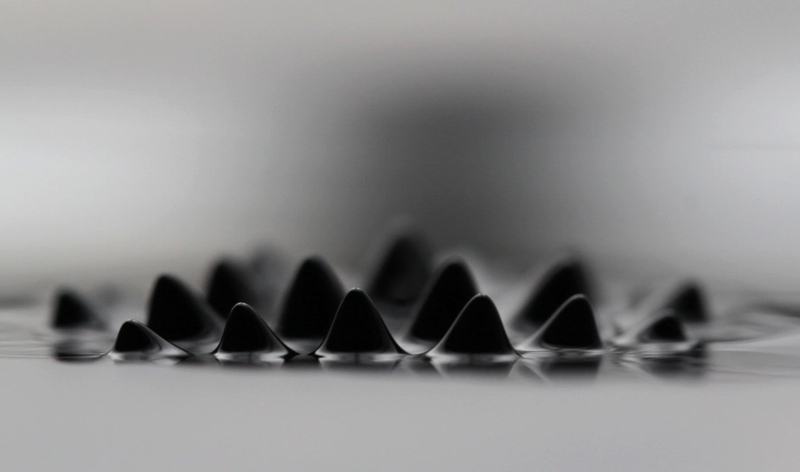 A study of fluid dynamics using ferromagnetic fluid and sound. Operating within a system of speakers, tiny particles of suspended metal become magnetized and move according to an electromagnetic field. These documented experiments are displayed as large-scale video projections with stereo sound.